AGI Corporation designs and manufactures assembly tooling and test fixtures used in the electronics assembly and manufacturing processes. From Wave Solder and Selective Solder Pallets, SMT Fixtures, Screen Printer Tooling, Press Fit Tooling, Feeder and Stencil Storage Carts, Final Assembly Tooling, Final/Functional Test Fixtures and Build to Print Services, AGI produces highest quality products backed by world-class customer service. AGI is proud to introduce the production of Laser Cut Stainless Steel and Nickel, Chemical Etch and Additive Electroformed Stencils for your SMT production. As a franchise of DEK we use the state of the art DEK T8 Laser and proven DEK quality systems, software automation and supply chain. Are You a Raving Fan of AGI? Do you Have Ideas on How We Can Improve our Products or Services? Check out our new 3-D machine stencils capable of step downs, step reliefs, step ups, all capable of being machined with our new Mazak Milling machine. AGI uses oxygen in its entire stencil cutting process. It is a superior clean air that produces the highest quality of cuts which creates smooth walls with easy paste release. The web view has been updated! Now you can more dynamically track orders as well as releases and ship dates. Check out our CUSTOMER AREA to login or get set up! We can provide a variety of Test Fixtures to suit your every need! Please visit our TEST FIXTURES page for a full description of the products we offer. Online stencil ordering available! Order through our online formthat provides quickness and convenience.Visit the ONLINE STENCIL ORDER page to place your order! See the latest NEWS happening at AGI! 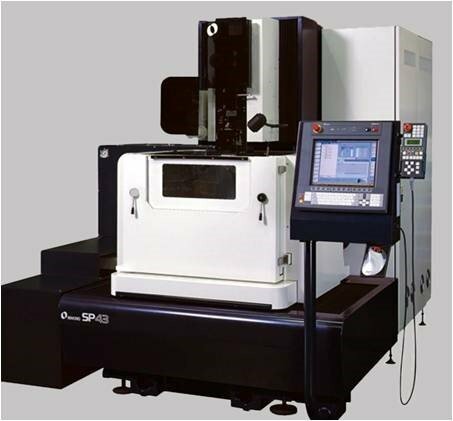 We have just added a new Makino SP43 wire EDM to our machining capabilities!